Comfort meets style on this breezy long-sleeve dress. Comfort meets style on this breezy long-sleeve dress. 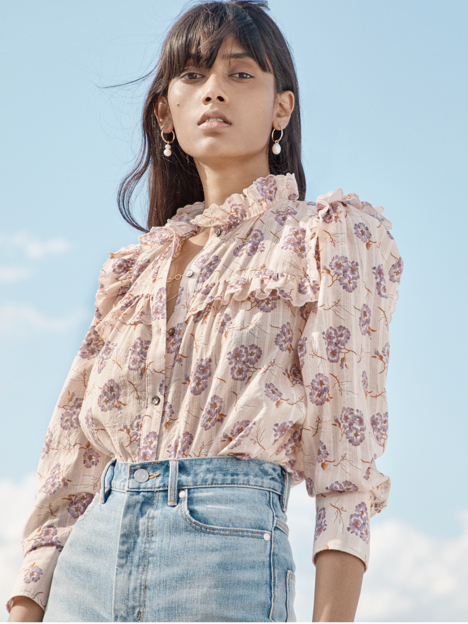 Crafted from ultra-lightweight tissue denim, its ruffled hem and tie waist create a flowing femme silhouette.